Realise the potential of data sharing while remaining in control. 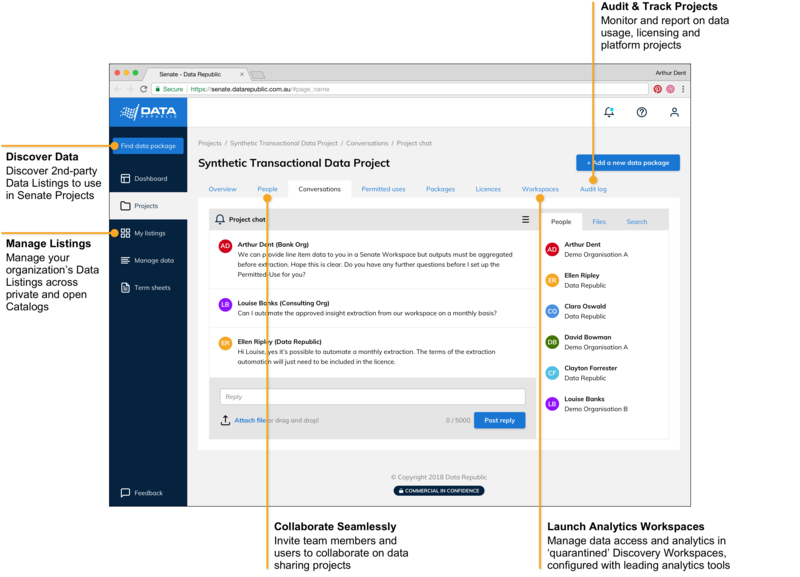 Manage data access, governance, shared analytics and licensing from one central platform. Any interaction with a dataset in a project is recorded in the audit log on Senate. Reports are generated to get a summary on user access, project status and data packages from your organization on the platform. Stop ad-hoc, time-consuming and risky processes when managing data sharing. Ensure compliance and audibility with Data Republic’s trusted Senate platform. Chief Data Officers can achieve the balance of privacy and innovation with Senate. 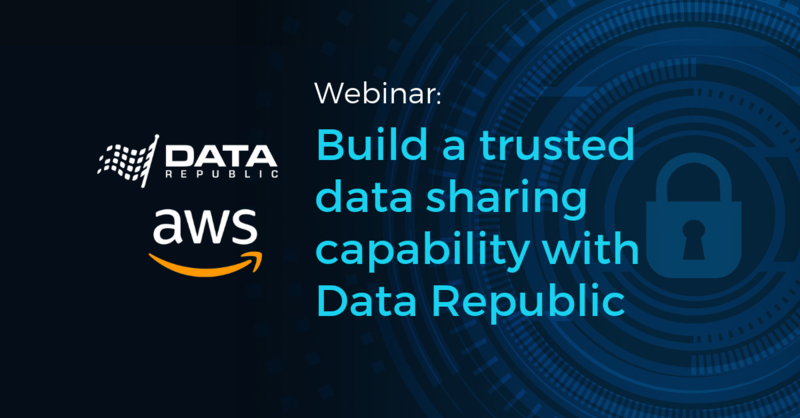 Learn how ANZ uses Data Republic’s Senate Platform to confidently and quickly analyze and share internal and external datasets. 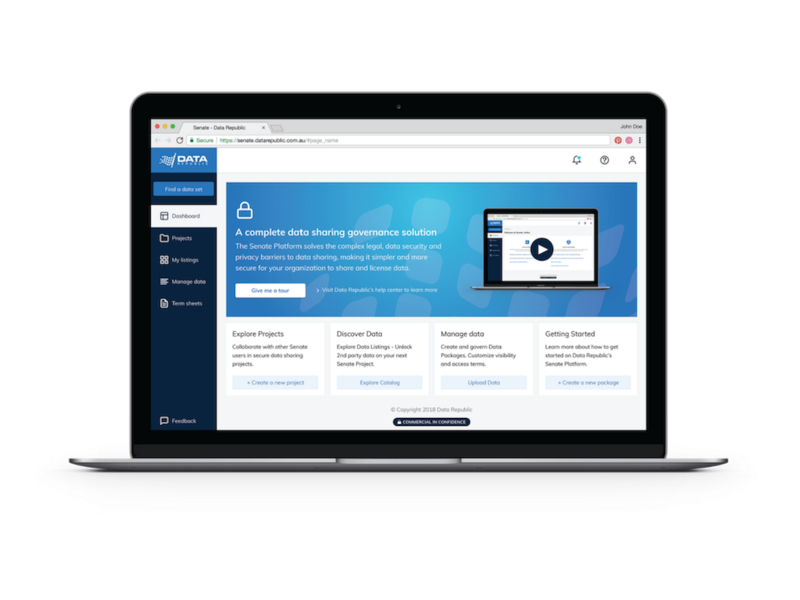 The Senate Platform applies robust legal, governance, and licensing workflows and enables ANZ to leverage its data while protecting customer privacy and personally identifiable information (PII).